Honor, a trendy, young and innovative smartphone e-brand, today kicks off a series of partnerships with young emerging contemporary artists around the world, as part of its latest global creativity campaign Honor Your Creation. Clara Bacou, a UK-based digital technology artist will be the first to take part in the collaboration. "Honor has always been creative and pushed the boundaries on all fronts, including technology and design, and that is what puts us at the top. We led the trend by introducing the element of colors into smartphones, releasing the Honor 8 in Sapphire Blue in 2016, and the Honor 9 in Glacier Grey in 2017. 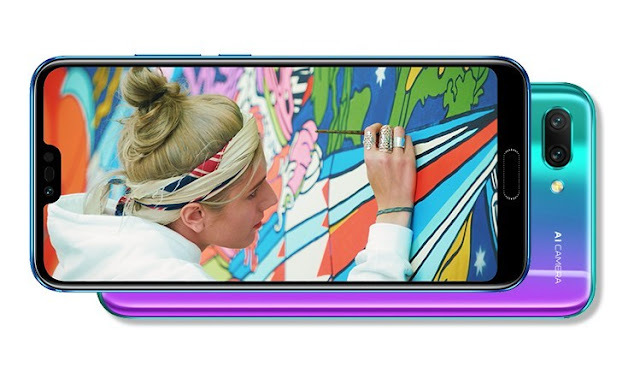 This year, we surprised the world with the Honor 10 which has an ever-changing color, and we will continue to take this passion for color and design to the next level." said George Zhao, President of Honor. Clara Bacou, who specializes in creature design and character animation using digital technology like 3D and AR, shares Honor's love for colors. Having just graduated from Central Saint Martins in 2017, Clara is a rising star in unconventional art. "I love the way Honor plays with colors. I use a lot of vibrant colors in my work and they energize me! I am so excited to explore colors with Honor and connect with the global community through this partnership." said Clara Bacou. Honor is building a digital gallery on Honor's website to support Clara by making her unconventional artwork available to Honor's fans and the global audience. In the coming weeks, Honor will launch an interactive online quiz, making use of Clara's creatures to engage fans and digital natives. This summer, Honor worked with BBC to document how the Honor 10 helps Clara's creative process. Another talented and young photographer Ollie Ali will also feature in the video Together with these artists, Honor is launching a series of interaction campaigns across Honor Global social media platforms to spread the fun and creativity. The interaction campaigns start today. Visit the Honor Global social media platforms to be a part of the fun! The full video of Honor with Clara and Ollie, curated by BBC, will be out in August. Fans can catch a first glimpse here: https://www.facebook.com/honorglobal/videos/2101183156761740/. Stay tuned for more.